Heron Polished Copper Garden Weathervane. 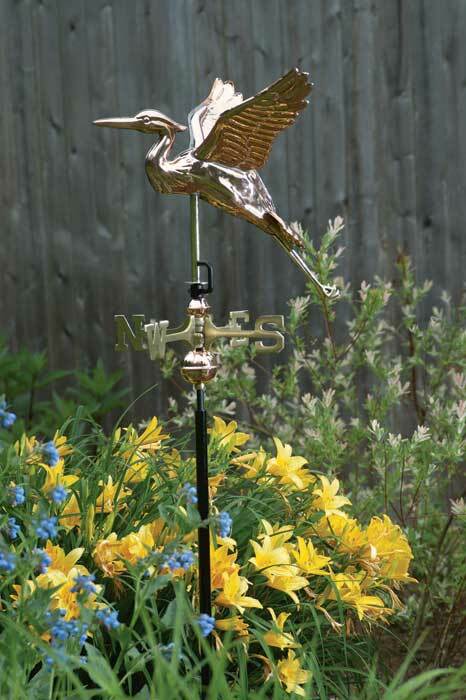 The Heron Polished Copper Garden Weathervane is a coveted sight in every backyard. Imagine this as the "Centerpiece" of your lush Hummingbird Flower Garden with your hummingbirds fluttering about! Heading away from his marsh pond nest, this Great Blue Heron is ready to adorn your garden, deck, or yard. Bring The Joy of Outdoor Living to your home with this heirloom-quality piece. 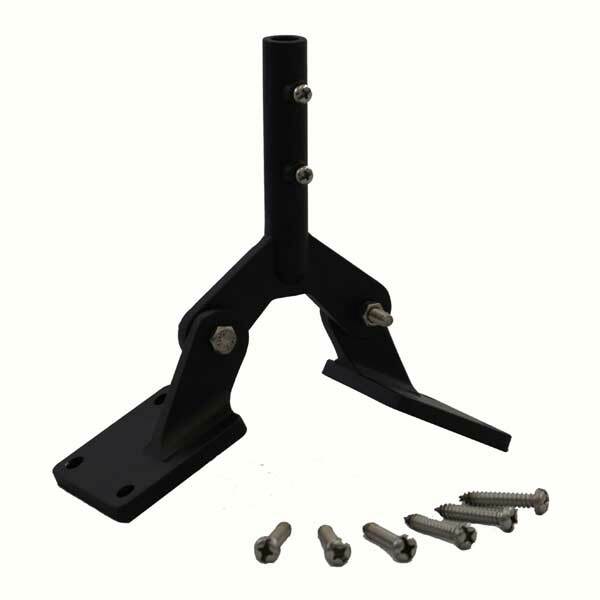 Maintenance-free Garden Weathervanes combine classic design with high-quality craftsmanship. Assembly required; easy-to-follow instructions included. 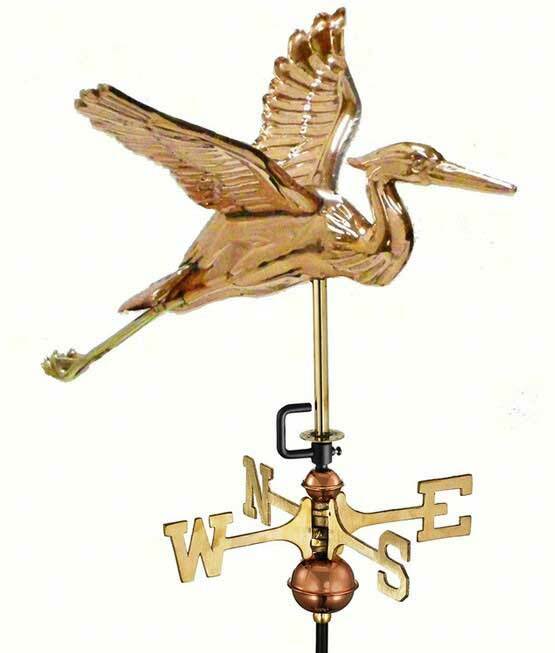 Due to the size/weight of the weathervanes we cannot include them in the Free Shipping Promotion.